Events are barreling forward on the trade front, but before tackling the upcoming G20 meeting between President Trump and Chinese President Xi Jinping, here are a few reflections on last week’s Asia-Pacific Economic Cooperation (APEC) forum. As always, a caveat regarding the US: Given our mercurial (read: flaky) leader, matters could change on a dime, or more accurately, a tweet. First, symbolically, it was a mistake for the US president to skip the APEC forum, one of the most important Asia regional gatherings each year — particularly with the US locked in a struggle with China for soft (and hard) power and influence throughout East Asia. But having said that, Vice President Mike Pence proved a much better conveyor of US policy than our “Dear Leader.” One can disagree with the administration’s China/Asia policies, but it was refreshing to have those policies stated clearly and forcefully, without the president’s distracting narcissistic or irrelevant asides. 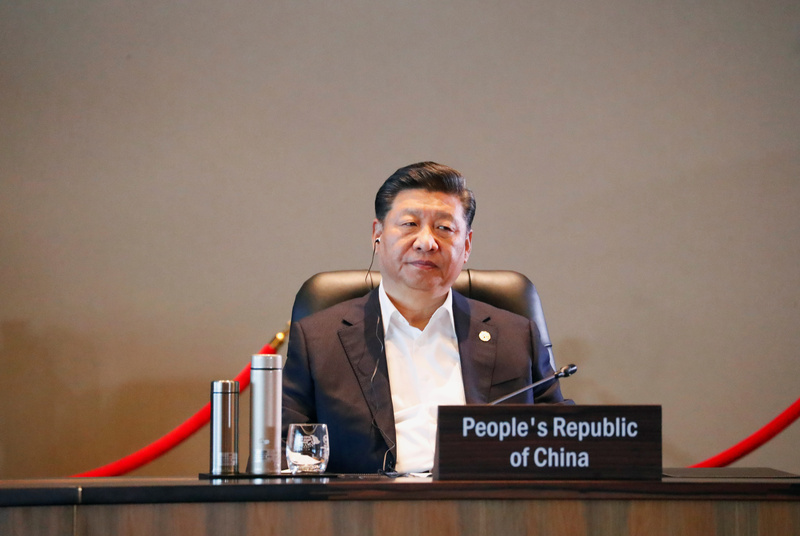 In turn, President Xi defended China’s development aid program (“not for geopolitical purposes”), and called out the US for “unilateralism” and “bullying.” At this point, prospects for compromise at the G20 seem bleak, so the trade war is likely to continue. Second, as events unfolded during the forum, Chinese diplomats seemed uncharacteristically “rattled.” In an extraordinary action, chronicled by a number of news organizations, a group of Chinese diplomats forced their way into the office of the New Guinea summit chairman, demanding last minute changes to the final text of the summit statement. Security officials were summoned, and the Chinese left voluntarily. Interestingly, the paragraphs that so upset Beijing were those calling for APEC nations to fight protectionism and unfair trade practices, and to support World Trade Organization reform (see below). Third, the breakdown of diplomacy may also portend an ominous turn for Asia regional conferences such as the APEC forum. Because of the open conflict between the two giants, the US and China, for the first time in twenty-five years the APEC ministers were not able to publish a closing communique. While it is too early to make any conclusive judgments, certainly Asian nations will face a stronger pull-and-tug from both protagonists — and to their dismay may well face pressure to “choose sides,” something they already dread and will in most cases fiercely resist. In sum, as a window to the future, the APEC forum may be more consequential than whatever takes place next week at the G20.